The body never lies. Every dance is a graph of the heart. Nothing is more revealing than movement. These are the words of Martha Graham, one of the greatest American dancers and choreographers of the 20th century. Massimiliano Pagliara might as well have them tattooed on his chest, close to his heart, being an accomplished dancer, too. He has studied contemporary dance in Milan and Berlin, and went on to dedicate his life to transforming experience into movement, be it musical, physical, or spiritual. Massimilano's message is clear: Don't stand still. Don't keep looking back. Know where you are coming from, but don't remain petrified by the past. Take a chance at Endless Change, instead. Move on! Just like Massimilano did. Stemming from Lecce province, an area at the south-eastern-most tip of Italy, Massimilano has been based in Berlin for several years where he's been one of the main forces behind recombining the city's hardboiled techno scene with an often overlooked sensibility for the soft and the tender. Call it underground disco passion. Massimilano's last and sophomore album, With One Another, released in 2014, was about celebrating the joy of human encounters and in parts seemed like a big get-together with like-minded artists and friends (among them nd_baumecker, Lee Douglas, and Credit 00). The record quickly hit the number one spot in Groove magazine's album chart – and its creator hit the road. The result of these experiences is Feel Live, Massimiliano's third full-length endeavour. It was recorded in several intimate, sometimes improvised studio settings between Los Angeles, Portland, and Massimiliano's homebase in Berlin as well as at airports and on intercontinental flights high up in the sky. 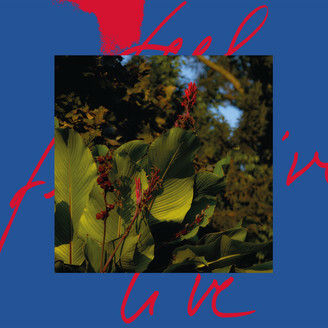 Featuring vocals by Private Agenda, Peaking Lights, Kim Anh and instrumental contributions by Fort Romeau, Tim K, and Jules Etienne, Feel Live is Massimilano's most playful and imaginative work to date. It's as emotional as sensual, as vibrant as the first ray of light after a thunderstorm has cleared the air.